Are you tired of hearing my complain about how hot it is in Florence? In my defense, the locals are telling me that this is the hottest summer in years. Some say a decade, while others claim a century. Let’s go with a century since it sounds more dramatic. These photos were taken at the height of last weeks scorching temps, which, fortunately, dropped this week (but unfortunately the +100 temps are forecasted to return this weekend and all next week). 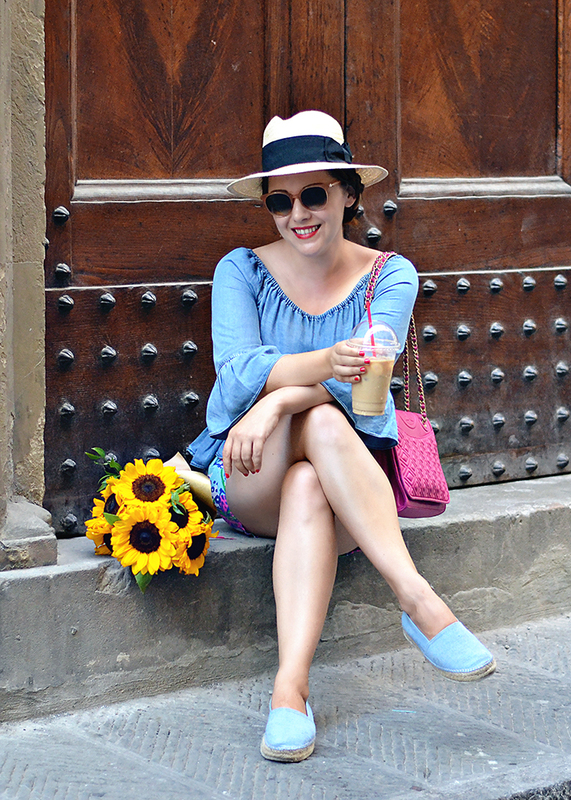 When it’s too hot to care, I always go for my favorite and most comfortable shorts, an easy, breezy top, and a hat. 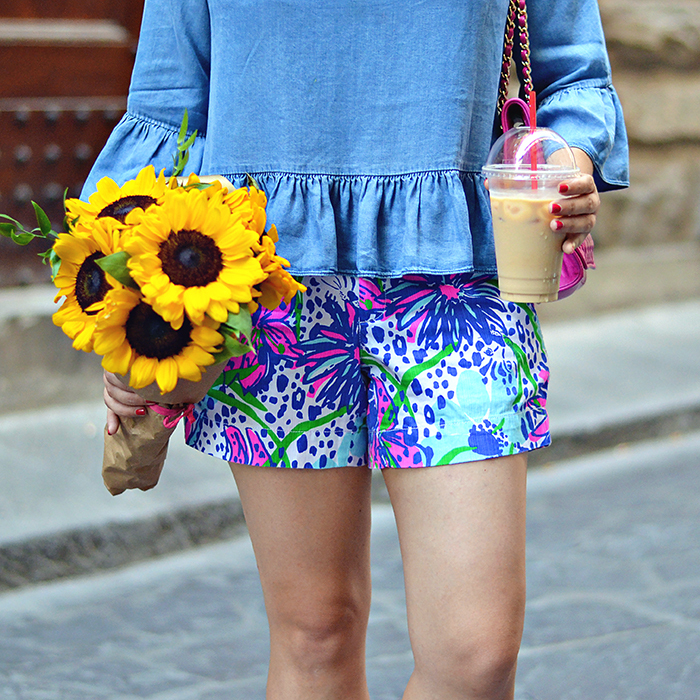 I’ve basically been living in these Lilly Pulitzer Callahan shorts on weekends and after work. They are the perfect cut, relaxed but flattering, and I have them in several prints back home (for sizing reference I’m wearing a size 4). Sadly, this versatile chambray top from Zara is no longer available, but I have linked a couple cute options below. 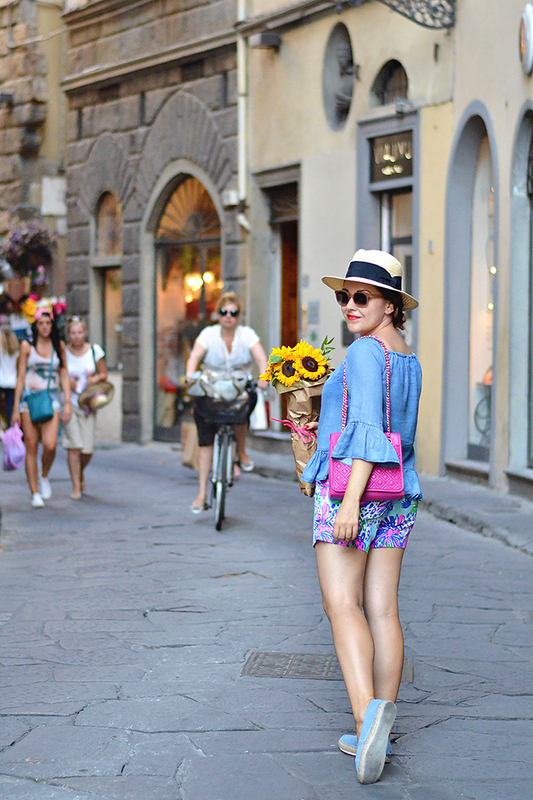 Now, I know you are thinking, “Shorts in Italy? Isn’t that a taboo?” My answer is yes and no. 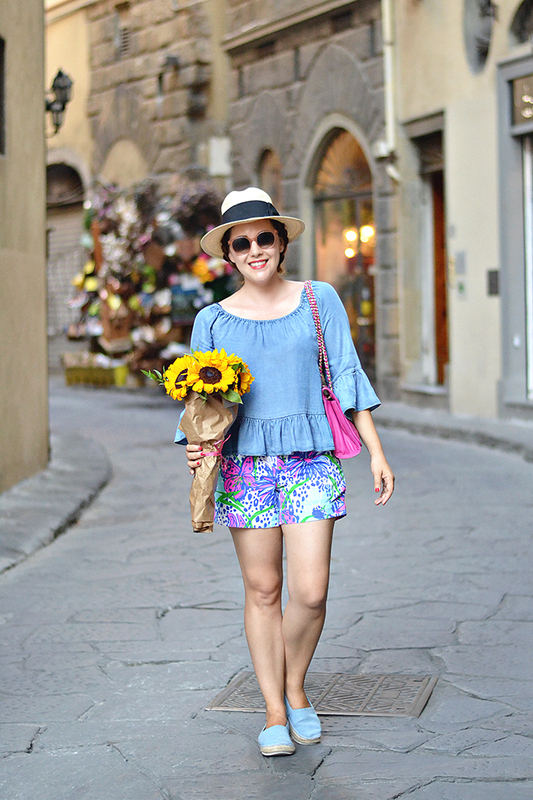 While I am probably the only one (besides the other Americans) waking around in Lilly Pulitzer shorts (I love them, so I don’t care), shorts have lost there taboo status as they entered mainstream European/Italian fashion. I wouldn’t say, however, that they are common, but they aren’t abnormal. So if you are overheating in Italy, wear your shorts! One of my favorite purchases this summer has been this NARS matte lipstick in Heat Wave. Finding a great red lip isn’t easy and I swear this color goes with everything. It is a great everyday red and the name is so fitting! Please pass some of that hot weather over to us in Belgium – it has been cold and rainy for the last week, feels like autumn is coming! Also, on shorts, I think the general feeling is that something like denim cutoffs are still not really accepted, but if it's a nice print or a tailors style then it's starting to really gain ground. It's been so hot in upstate NY too this week, yesterday it was 98 (yikes) so finding cute but lightweight fashion has been a struggle when all I want to do is hide in the AC. I love those shorts and that top is adorable! I live right outside of DC and it's supposed to be in the 90's this week and humid, bleh. 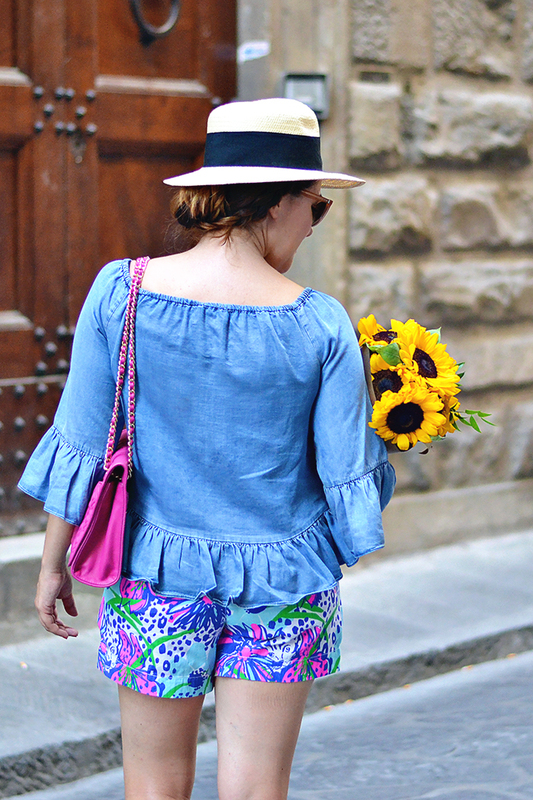 Such a perfect outfit, I am so in love with your top! Sorry about the weather, we had to take our Buffalo weather with us down to Rom! Oh, and I've been investigating potential trips in the US for January. Key West?